You provide general counseling services, life coaching, or niche-related support (for example, helping people who experience panic attacks or have agoraphobia.) However, some people don’t dare to visit a counseling office because they are scared of opening up in new surroundings. With a counseling Pay Per Call line, people feel the needed level of safety and free of judgmental surroundings. 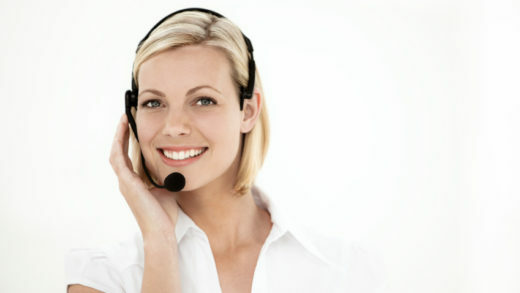 Among other reasons, it makes a Pay Per Call line the perfect method of work for the counseling industry. Whether your clients are experiencing anger management, business, or marriage problems, you will be there to talk to them in their most critical moments. Being able to remove any obstacles that may block your communication is what makes a great counselor. They don’t have to commute to visit you, while people who feel insecure about sharing details about their lives outside their home won’t feel anxious when talking to you on the phone. Counseling via a Pay Per Call line is usually convenient and affordable. Since people can receive advice from the comfort of their home, they can schedule their calls for times that are most convenient for them. It is also an excellent option for people with physical limitations or those living in remote areas. People who can’t leave home due to a physical illness may find this to be a useful alternative to traditional counseling settings. Some individuals don’t need a lengthy counseling session but only a few answers. With a Pay Per Call line at their hand’s reach, they can use it as a tool to learn more about things of interest. Even if people feel capable and secure in any particular aspect, this is a way for them to get advice on how to become stronger. For example, if you’re a psychological counselor, you can teach people more about coping strategies and health behaviors that will help them be psychologically healthier. Unlike starting a counseling office, which may require thousands of dollars, beginning a counseling Pay Per Call line will cost you less than a $1,000. Your expenses only include the initial set up cost ($599) and small monthly maintenance fees (line maintenance, hosting, billing, software, and programming.) You don’t need to look for loan or investors and make things more complicated. You can select the price that’s a current industry standard or the amount you want. Whether you go for a pay per minute or pay per call plan, a part of your earnings goes to the provider, while the rest is yours. Running your Pay Per Call line is an excellent time and money saver. It gives you the flexibility when it comes to working hours and pricing, it’s easy to set up, and provides you with the tools for managing your calls and marketing your business. You can also set up an international Pay Per Call line to offer counseling services to people in the United Kingdom, Finland, Denmark, Netherlands, New Zealand, and other countries to come. Contact PayPerCall to find out more about our services and conditions! Once you understand the flexibility that you get with our Pay Per Call plans, the only thing left to do is let us set up your Pay Per Call line!